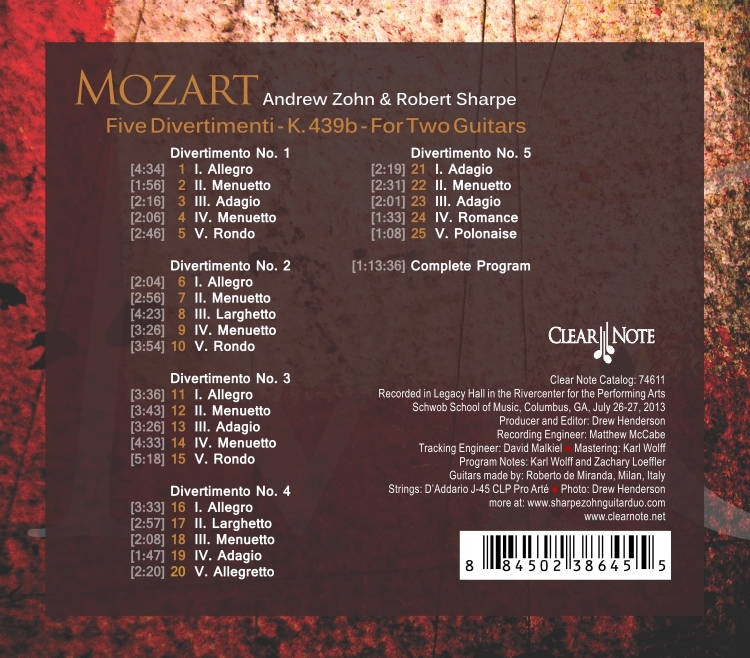 Conceived as trios and originally penned for basset horn, a kind of tenor clarinet with a darker mystical tone, Mozart's five five-movement Divertimenti K. 439b fit very nicely on the warm, romantic sounding modern concert guitar. Classical guitar, capable of both melodic and contrapuntal distinctions, and itself a tenor among the string instruments, is a natural for these pieces. 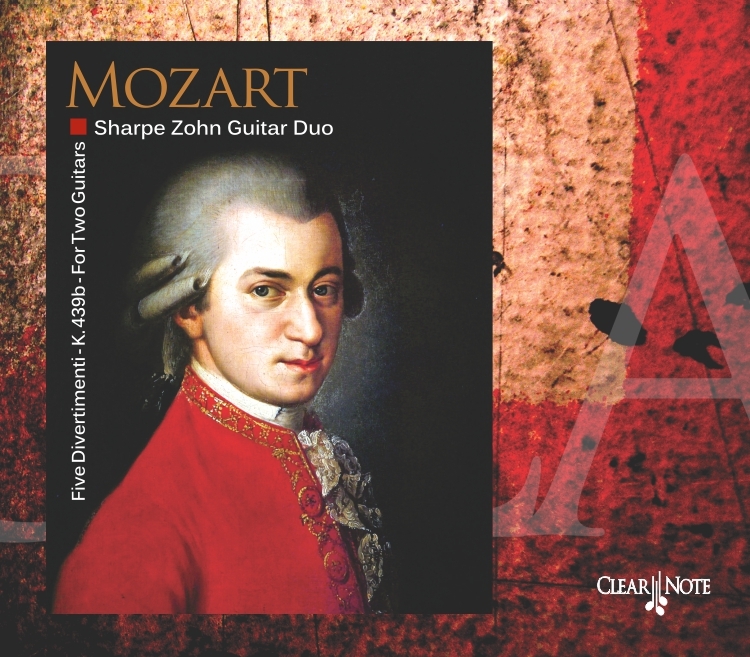 Composer/guitarist Andrew Zohn's masterful arrangements of Mozart's work make this unique collection a most welcome addition to the guitar duo repertoire.